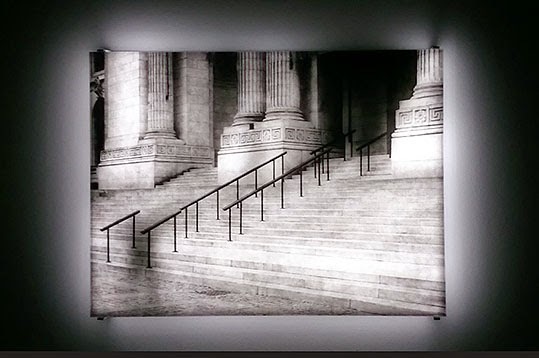 Rhythms of Perception in central Madrid’s Espacio Fundación Telefónica brings together 27 works from the early 90s to the present by San Francisco-based artist and electrical engineer Jim Campbell (b. Chicago, Illinois, USA, 1965). Low-resolution video, LED lights and immersive room-size installations take the viewer on a contemplative journey whereby time, memory and personal experience play key roles. 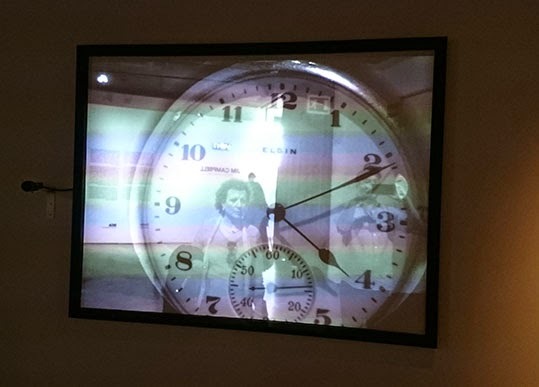 Upon entering the vast exhibition space, one encounters Digital Watch (1991), a rear-projection video monitor featuring an Elgin analogue pocket watch. As I observed the piece, the image of a nearby visitor appeared on-screen and on approaching the work myself, my own reflection emerged following a five second delay. The result is a slight tension between the real time of one’s existence and the delay of our on-screen image. By placing the viewer’s image alongside that of the watch – each captured by two different cameras – the work attempts to reflect on how the media influences our perception of time. 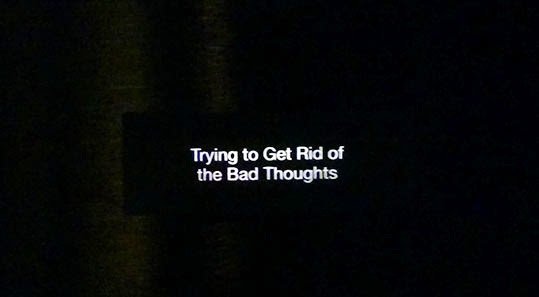 This, however, exposes a conflict between artistic/curatorial intent and viewers' reception given that far from conjuring anything related to the media, the piece appears to function as an ephemeral archive of visitors whilst also drawing connections between an analogue past and a digital present. The ticking of the watch's hands and melancholic references to America’s rich watch industry of decades past - as alluded to by the defunct Elgin brand - are in clear dialogue with the low-resolution black and white digital video. One's sense of self is thus reflected on the projection itself, creating a non-linear narrative. 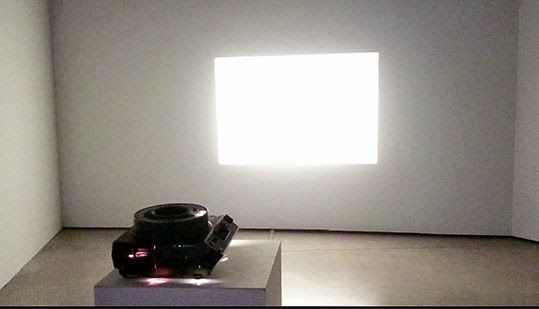 Glimpse (2007), an installation comprising both a slide projector and a video projector focusing on the same point on a wall, merges both formats into one. 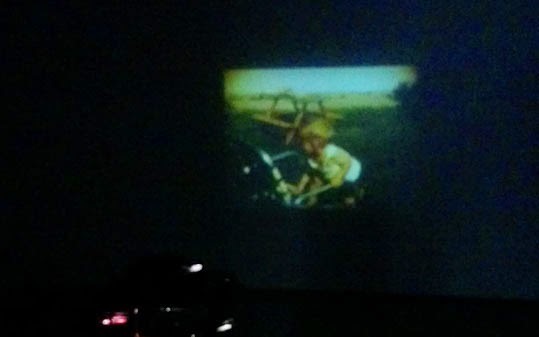 The still projector’s blank slides beam white rectangles of light, disturbing the low-resolution retro-style family home movies. 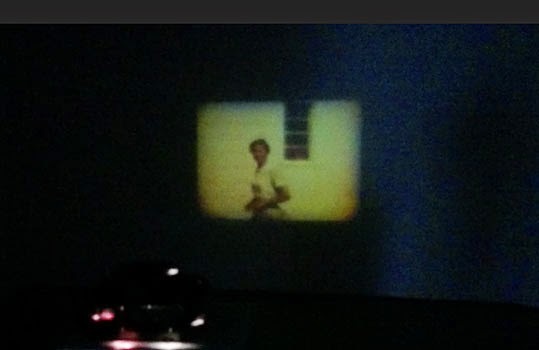 As a child runs around freely or adults chat in what appears to be a family gathering, the slide projector quickly moves to the next slide, thus interrupting the already blurry imagery. The bright light, complete darkness and the clicking sound of the slide projector creates a broken narrative whereby only the first second or so of each new video shot is perceptible. Unlike Digital Watch, this piece has a much more intimate feel, providing a sense of longing and loss, a celebration of more innocent times. Further afield, Exploded View (Commuters) (2011), a three-dimensional work I first encountered at London’s Hayward Gallery in 2013, is cunningly deceptive in its fancy high-tech chandelier veneer. 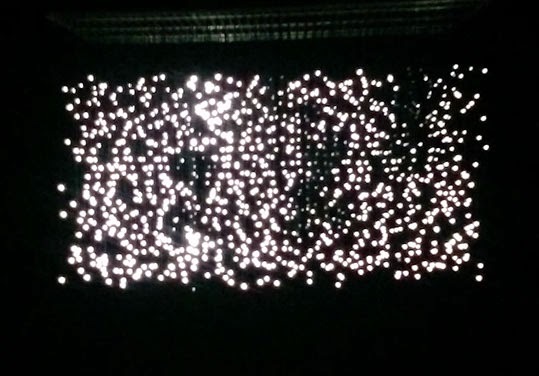 On realisation that the 1,152 flickering LED lights are anything but random, the work becomes quite mesmerising. Low-resolution yet recognisable moving images of commuters going about their daily routines – walking to work in a rush – come to life within the LED lights. In this regard, the piece appears to provide social commentary: people work hard chasing their dreams and as every single LED light bulb, commuters/employees are expected to be a source energy, contributing to economic growth in our ever faster paced societies. 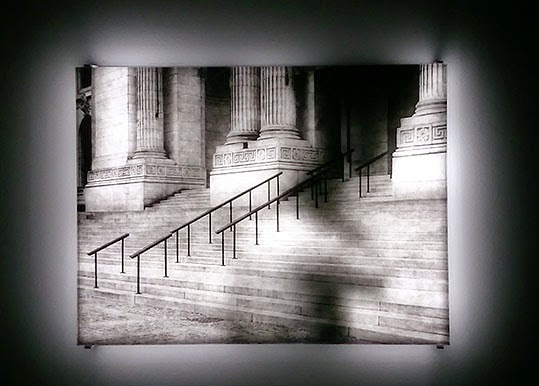 Library (2004), a work depicting the exteriors of the New York Public Library, includes a 25-minute video loop. Blurry images of birds and people glide along the steps leading to the library, functioning as memories of visitors past. These almost abstract moving images, which seem to capture the souls of humans and fluttering birds alike – the essence of what it means to be alive - contrast with the architecture’s solidity. Also catching my attention, Last Day in the Beginning of March (2003) reflects on Campbell’s brother’s last day of life, before suicide. In this room-size installation, 26 light beams are projected onto the floor. Like stars in the sky, suspended form the ceiling, the LED lights are connected to an electronic circuit containing imaginary shards of memory in the form of illuminated text labels on the black walls. The ambient sound of falling rain contributes to the gloomy atmosphere as the beams of light function as desperate heartbeats. This poetic memorial is as much a space for quiet contemplation as of despair. Overall, Rhythms of Perception provides moments of reflection and brims with affective dimensions of immersive storytelling. Campbell’s works not only capture the audience with their superficial glow but also engaging human stories of everyday life, togetherness and loss, making for a thought-provoking experience. 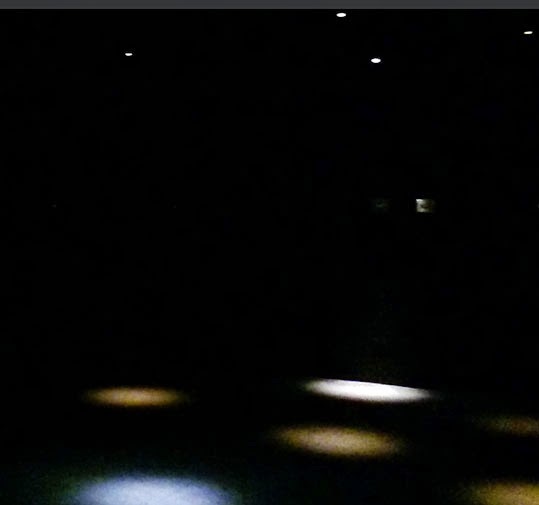 JIM CAMPBELL: RHYTHMS OF PERCEPTION, ESPACIO FUNDACIÓN TELEFÓNICA, MADRID, SPAIN. 1 APRIL - 28 JUNE 2015.